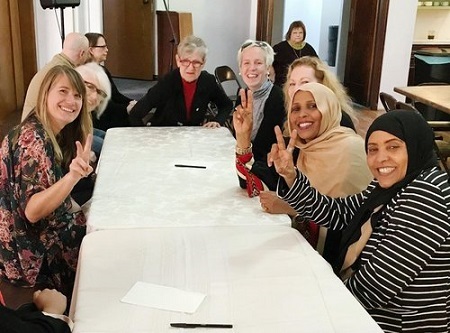 Multi-faith Matters shares multi-faith engagement events that you can be a part of so that the church is better equipped to follow the example of Christ among our neighbors. Take a look at these events and opportunities. There are opportunities to join teams working in music festivals, a philosophy festival, a literary festival, Burning Man events, Pagan festivals, and Welsh language events in Wales, England, Cornwall and the Czech Republic. See salemgathering.com or email Pastor Phil at salempastorphil@gmail.com. Hundreds of Christians will join together in Salem, MA during the month-long Halloween to create a missional God Carnival. See salemgathering.com or email Pastor Phil at salempastorphil@gmail.com. Join the peacemaking movement. Let's follow Jesus and wage peace together. Find their events near you, or contact them to set up local opportunities.